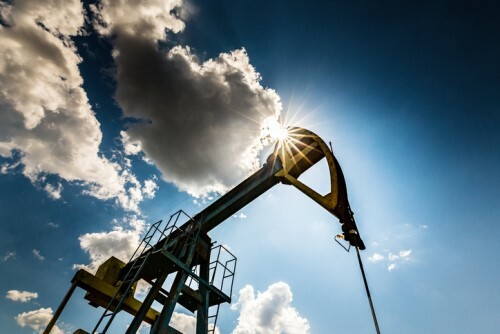 Oil prices began the session lower as output from Libya rebounded; and ended the session higher as US stockpiles were reportedly lower than expected. The price of US crude gained more than 1.6 per cent. The energy group of the main TSX index gained 1.5 per cent but seven other groups were also higher including materials and financials. The overall index closed higher. Wall Street recorded a narrow gain for the Dow Jones while the S&P500 and Nasdaq were flat. European indexes also closed higher while Asian markets were lower. Just when things seemed to heading in the right direction for Canada’s economy, there was an unexpected slump in exports in February while imports increased; meaning a trade deficit after three monthly surpluses. Statistics Canada said that year-over-year exports were up 4.4 per cent but the 2.4 per cent decrease in February with a 0.6 per cent increase in exports meant a deficit of $972 million. Even without energy products, there was a 2.4 per cent drop in exports as farm, fishing and intermediate food products, aircraft and other transportation equipment and parts, as well as consumer goods, were all lower. Looking deeper into the data, the export figure is more in line with December following an increase of sales of transportation goods to Saudi Arabia; Imports were higher due to special transactions in February. The chief executive of Bank of Montreal told shareholders that its staff are not there to push products to customers and they know that. "I have confidence that they know we're not in business to push products," William Downe said in response to concerns about practices in the sector following media reports about TD which were refuted. Reuters reports that Downe reassured investors that BMO has guidelines to prevent staff from inappropriate behaviour.